Mauricio Pochettino insists containing Manchester City will not be on his mind on Saturday as he believes Tottenham can beat the Premier League's unbeaten leaders. 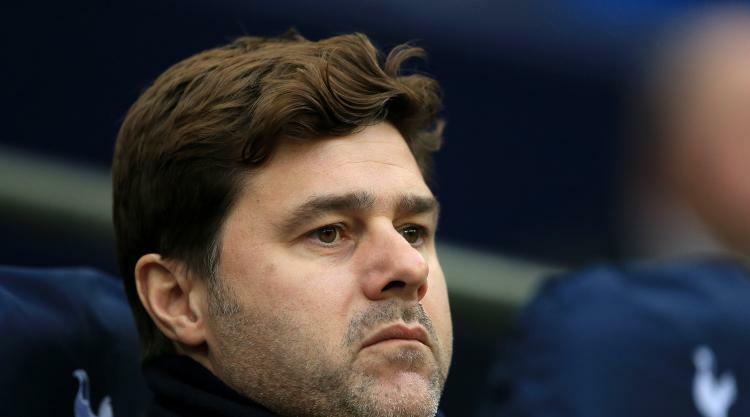 Spurs climbed back into the top four on Wednesday after grinding out a 2-0 win over Brighton and now they turn their attention to this weekend's crunch visit to the Etihad Stadium. City's 4-0 win at Swansea maintained their 11-point lead at the top and provided the latest demonstration of their exceptional quality. But Serge Aurier's fortunate cross-come-shot against Brighton and a late header from Son Heung-min means Tottenham head north on the back of three consecutive victories. "We're going to Manchester thinking we can win," Pochettino said. "We're going to enjoy it, because it's a fantastic challenge to play against Manchester City. They're the best team in England and one of the best in Europe. "I'm so excited to play, because I love to play against teams and managers like (Pep) Guardiola, that are the best. I'm so motivated and so happy that we are going to play a team at their best. "I am so happy and so pleased about the performances in the last few weeks: three victories in a row." There was also the added positive at Wembley that fit-again Erik Lamela started his first competitive fixture since October 2016 and looked bright before being replaced by Dele Alli late on. Alli had not been left on the bench for a Premier League fixture since November last year and Pochettino bristled at questions surrounding the forward's omission. "How does another player at Manchester United, Arsenal, Liverpool react when they are on the bench? Tottenham is a specialist in creating problems," Pochettino said. "Alli was on the bench and then played 20 minutes. He's an important player for us. How do other players react when they are on the bench? "Sure they are unhappy. No-one is happy. Everyone on the bench wanted to play."